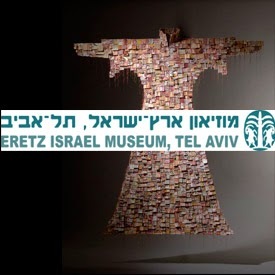 Arnovitz is a participating artist at the Israeli Paper Art Biennale, which opened October 25 at Haim Lebanon 2. More info on the Paper Biennale here. Her work in the recent Jerusalem Biennale was mentioned in Haaretz and the Forward's "At first-ever Jerusalem biennale, Jewish art goes from old-world to avant-garde" here.